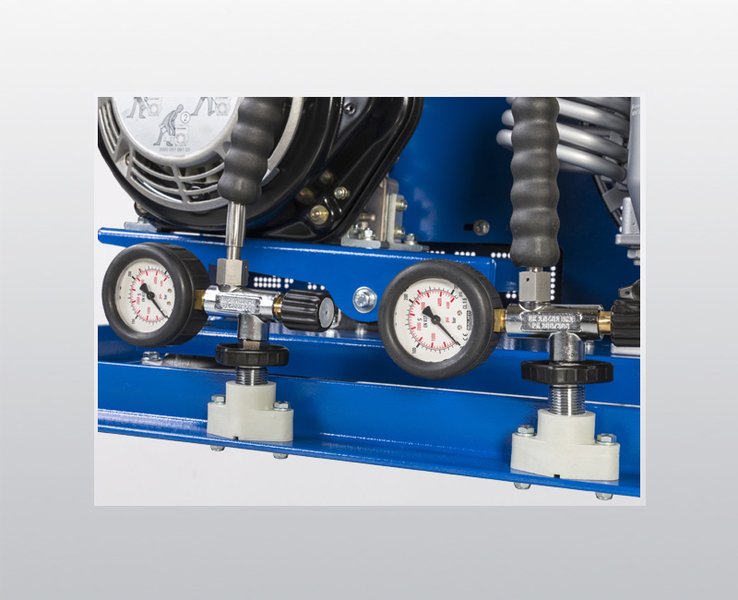 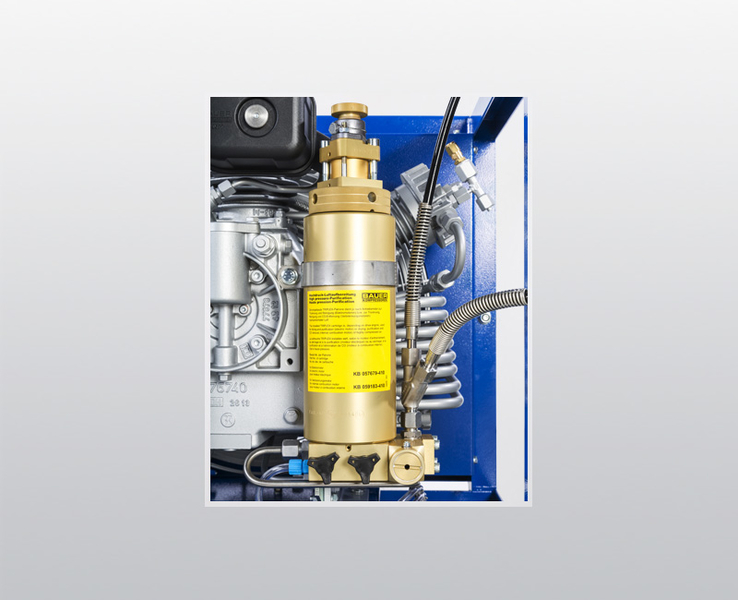 The CAPITANO II-D by BAUER KOMPRESSOREN is an excellent breathing air compressor which combines a Hatz diesel engine as standard with 140 l/min FAD. 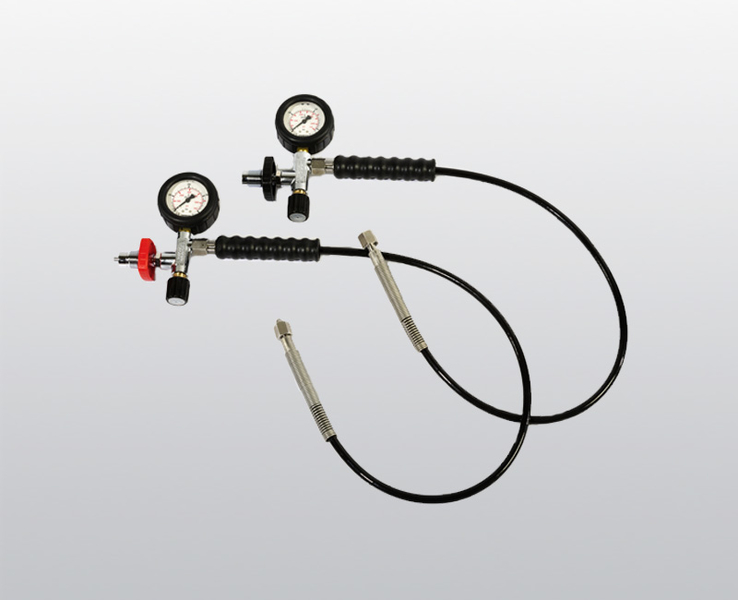 It is ideal for both short-term operation and demanding continuous service. 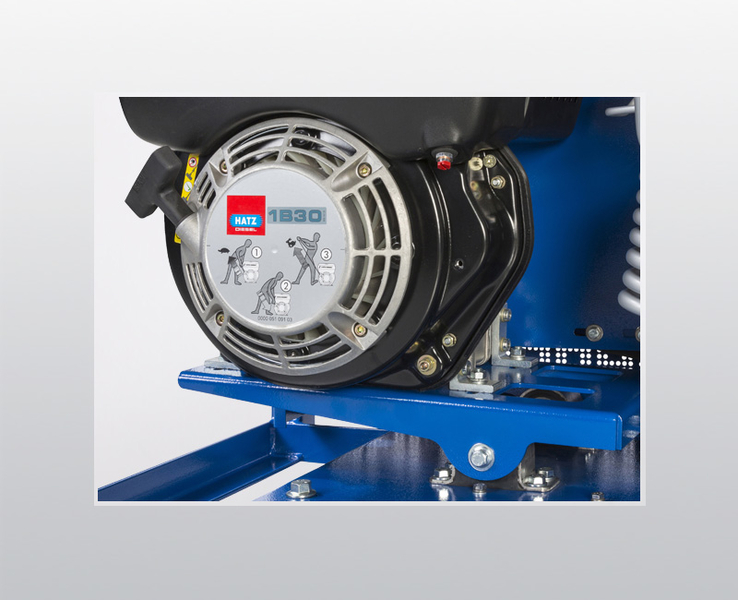 Thanks to 3-stage construction and the use of industrial bearings, this advanced series is able to deliver long service life and constant intrinsic value in demanding professional applications. The high-quality stainless steel intercoolers and aftercoolers can withstand even the harshest conditions. 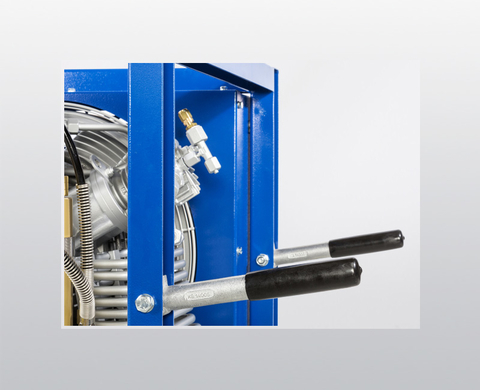 Furthermore, a crash frame constructed from steel profiles ensures excellent rigidity and provides outstanding protection for the unit. As well as providing additional protection for the unit, the crash frame with its integrated fold-out handles makes moving the unit easy and convenient. 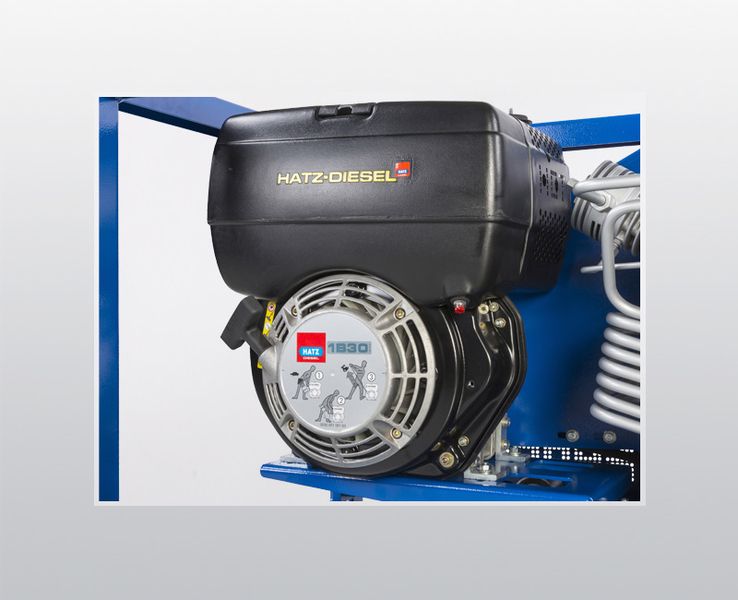 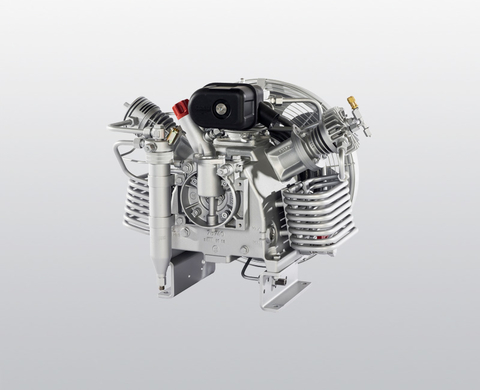 The Hatz diesel engine is a standard feature, safeguarding reliable and maintenance-friendly performance and keeping running costs low.